Ganoderma Lucidum (Latin), also known as Reishi (Japanese), Lingzhi (Chinese) is a type of Mushroom that has been used for thousands of years in Asia, for its beneficial effects on our ability to maintain or improve health. Why ganoderma good health products? Scientific research has confirmed the many positive effects of Ganoderma on the body. Ganoderma could harmonize the body’s functions, enhances the natural self-healing ability, and could strengthen the immune system. Ganoderma contains more than 200 active elements which can be categorized as water-soluble, organic soluble and volatile compounds. The major elements found are Polysaccharide, Adenosine, and Triterpenoids, each having their own outstanding medicinal effects. 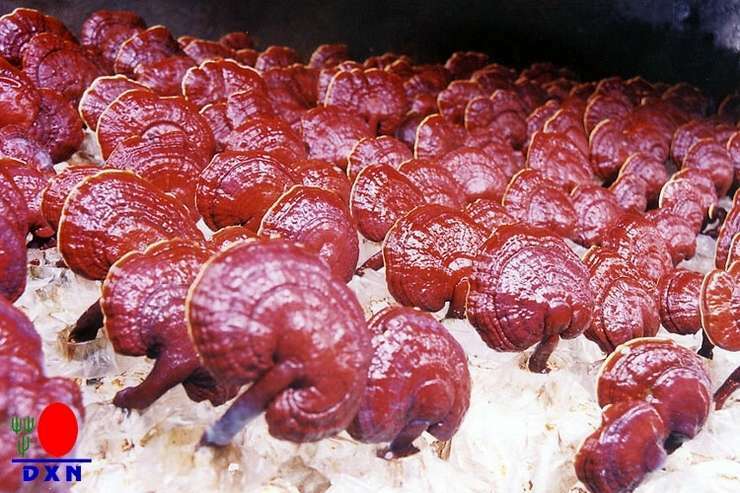 The DXN Ganoderma farm is well recognized for its unique traits in the cultivation of its high quality Ganoderma. DXN adopts a cold treatment which can preserve active elements of Ganoderma. The total concentration rate of the cold treatment is 20:1, which is superlative to other methods. The DXN Ganoderma plantation covers 70 hectares. It is the largest farm in Malaysia and the first Malaysian Lingzhi farm to receive MS ISO 14001:2004 certification from Lloyd´s Register Quality Assurance, since July 2000. This is to ensure all activities in cultivating Ganoderma are met with MS ISO 14001:2004 standard and comply to the legal requirement by Department of Environment. In November 2007, DXN Lingzhi Farm has accredited the Malaysian Organic Scheme (Skim Organik Malaysia) certification by Department of Agriculture, Peninsular Malaysia (Jabatan Pertanian Semenanjung Malaysia), which meets the standard of MS 1529:2001 and Certified Organic Farm. How to order DXN products online? How to join DXN online? Disclaimer: The above-mentioned products are herbal food supplements designed to assist in the maintenance of general well- being through regular use. The information has not been evaluated by the Food and Drug Administration. These products are not intended to diagnose, treat, cure, or prevent any disease. DXN does not condone or advocate self-diagnosis or self-medication in any way. If you have a condition which requires medical diagnosis and treatment, it is important that you visit your healthcare professional.